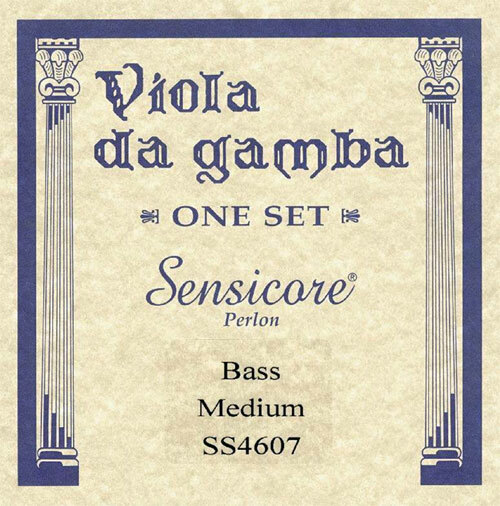 Q: Hello, I would like to buy a set of bass viola da gamba, sensicore, super sensitive medium and add some extra single top strings. 1st, 2nd and 3rd strings (three of each) do you sell separate strings as well. and we will check cost and availability for you. Q: Do you sell "Light" and "Heavy"? The maker doesn't make any more? At this time only medium is available. No, they have a synthetic core material that is designed to have a feel similar to gut but with improved tuning stability. in this set, are there the 6 string? how much is it to ship to France? A: Yes there are 56 strings in that set.